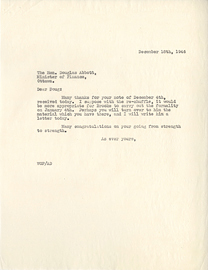 Letter from Wilder Penfield to Douglas Abbott, December 18, 1946. 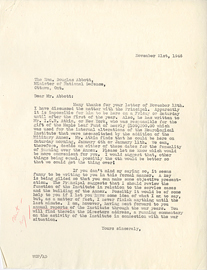 Letter from Wilder Penfield to Douglas Abbott, November 21, 1946. 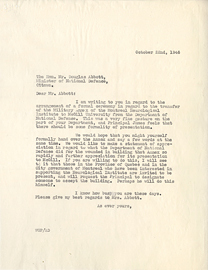 Letter from Wilder Penfield to Douglas Abbott, October 22, 1946. 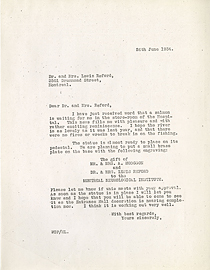 Letter from Wilder Penfield to Dr. and Mrs. Lewis Reford, June 26, 1934. 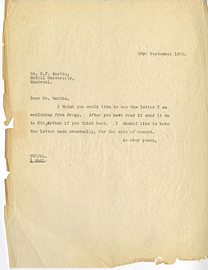 Letter from Wilder Penfield to Dr. Charles F. Martin, September 23, 1933. 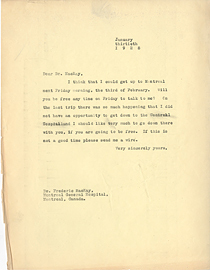 Letter from Wilder Penfield to Dr. Frederic MacKay, January 13, 1928. 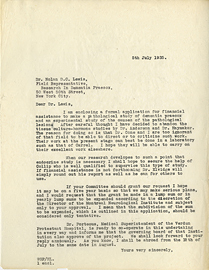 Letter from Wilder Penfield to Dr. Nolan D.C. Lewis, July 5, 1935. 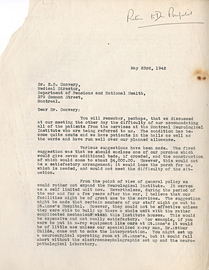 Letter from Wilder Penfield to Dr. William C. Quinby, March 5, 1928. 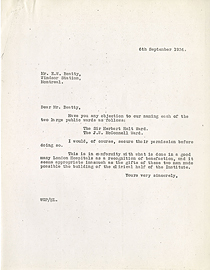 Letter from Wilder Penfield to E.B. Convery, May 23, 1942. 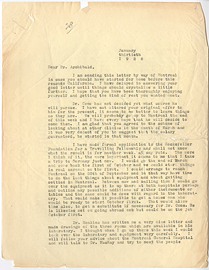 Letter from Wilder Penfield to E.W. Beatty, July 4, 1934. 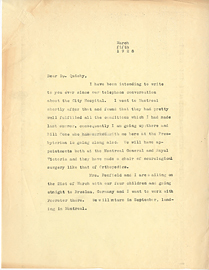 Letter from Wilder Penfield to E.W. Beatty, September 6, 1934. 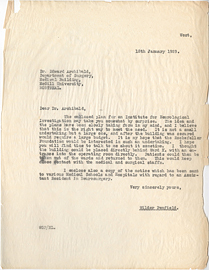 Letter from Wilder Penfield to Edward Archibald, February 24, 1928. 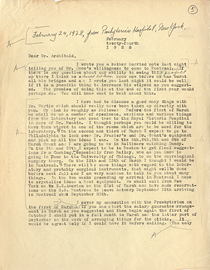 Letter from Wilder Penfield to Edward Archibald, January 18, 1929. 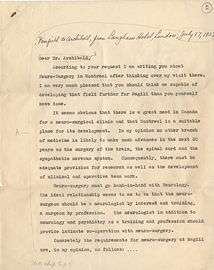 Letter from Wilder Penfield to Edward Archibald, January 30, 1928. 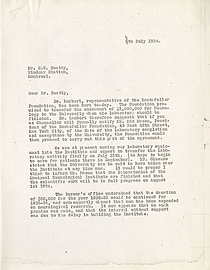 Letter from Wilder Penfield to Edward Archibald, July 17, 1927.